Due to increasing market demand for European vehicle EFI and engine management components Premier Auto Trade has significantly expanded their European product portfolio. European vehicles make a significant contribution to the Australian car parc, with European manufacturers supplying about 16 per cent of new cars sold in Australia last year. This trend is likely to continue as European built cars could become cheaper under an option to slash the tariffs on imported vehicles that the government is considering for a possible free-trade agreement with Europe. As engines become even more complex, with various advanced technologies providing gains in power outputs and fuel economy, the requirement to maintain the vehicle with premium OE manufactured replacement components is critical. Premier Auto Trade, the home of premium European brands, now offers one of the largest European vehicle engine management product programs in the Australian aftermarket, with over 1250 stock lines available from leading manufacturers including Bosch, Bremi, VDO, Continental, FAE, Intermotor, Pierburg and Valeo. 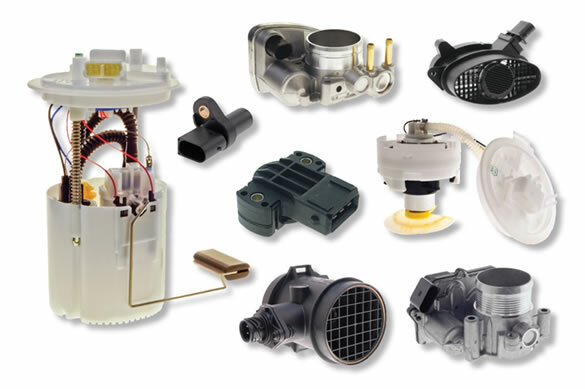 The Premier Auto Trade European product range includes Air Flow Meters, CAS and CAM sensors, Electronic Fuel Pumps, Oxygen Sensors, EGR valves, Ignition coils, Ignition leads, Fuel injectors, Idle speed motors, MAP sensors, Electronic throttle bodies, Coolant temperature sensors, Oil pressure switches and more. With a similar increase in diesel passenger vehicles Premier Auto Trade has also grown its diesel range which already includes some 300 part numbers and almost 2200 vehicle applications, and it is constantly growing. Premier Auto Trade distributes across Australia through a network of specialised resellers and leading automotive retail groups.